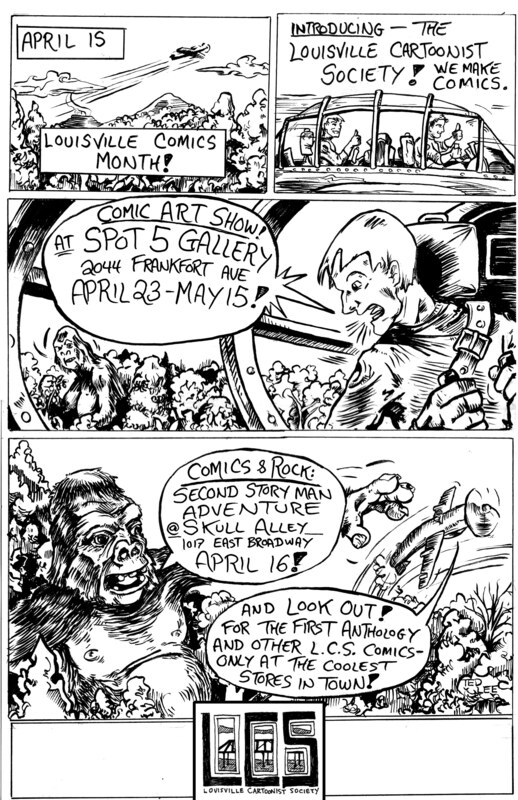 THE LOUISVILLE CARTOONIST SOCIETY HAS A NEW HOME! It’s awesome! Come check us out! 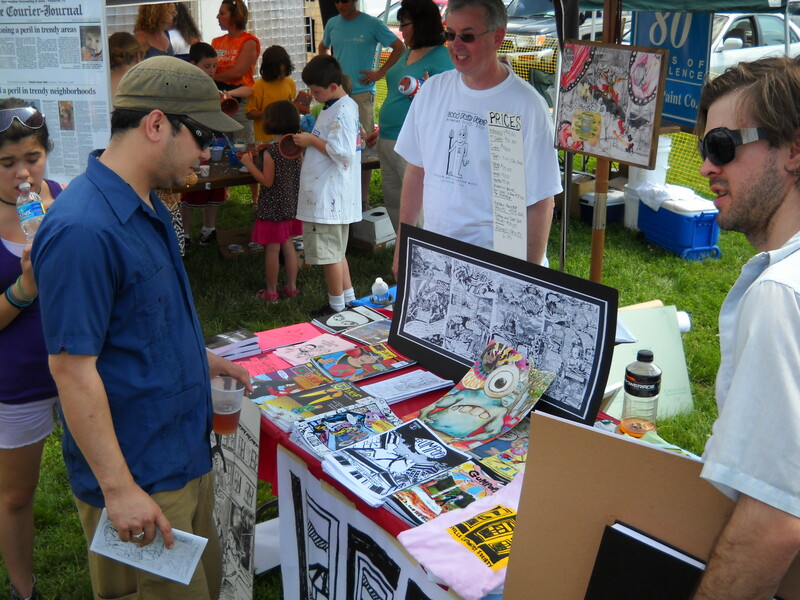 We are a loose collective of Louisville, Kentucky based comic makers. 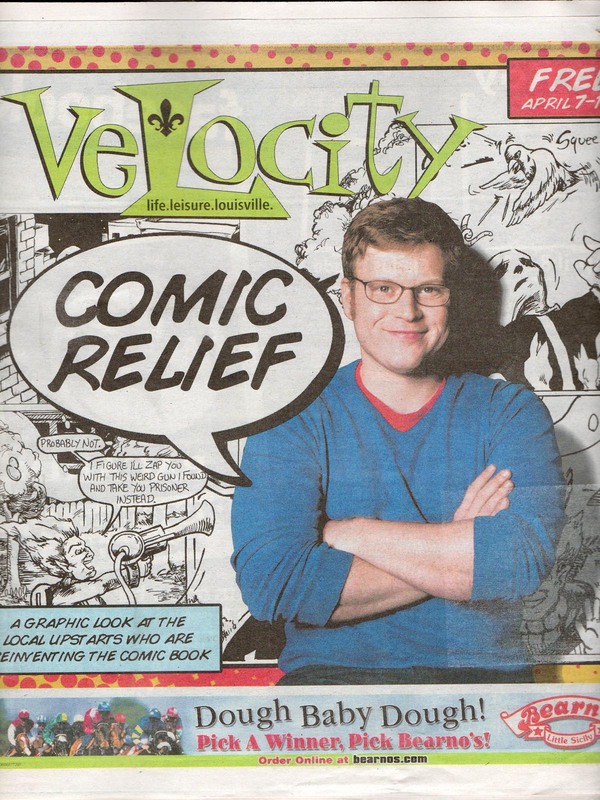 Louisville has a rich and diverse cartooning scene, and the LCS exists to encourage the creation of new comics and help local artists connect to their audience. To this end, we meet regularly- either at Spot 5 Art Studios or Zanzabar- to share work and collaborate on ideas. We also show our work around the city, members teach comic classes for a variety of local institutions, and we release Anthologies of member work. 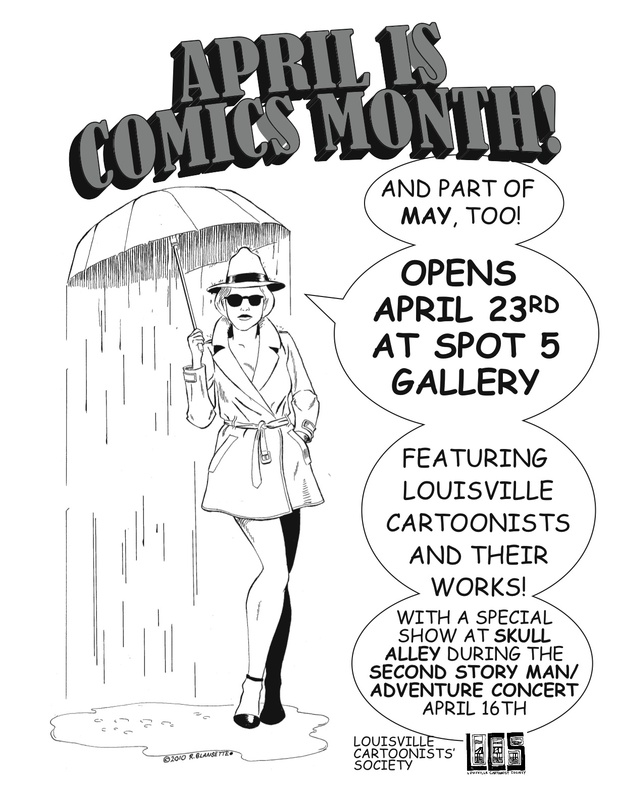 Louisville Cartoonist Society Members have books on sale at the following fine locations: The Great Escape, Preston Arts Center, The Zone, Clifton Art Supply, Ear-X-Tacy, Sunergos Coffee, and Carmichael’s Books. For Member Info, including meeting times, click here. To contact the LCS: We are on Facebook, and you can contact me through the contact link at the top. UPCOMING: LCS Horror Anthology ! This is our biggest Anthology yet, filled with awesomeness from 18 local geniuses of the macabre! To be released October 2010. Look for our opening gala, the COMICS N ROCK HORROR SHOW at the Rudyard Kipling, Friday, October 29! It’ll be Spooktacular! Look for us at the ST. JAMES UNFAIR and other fine art fairs this fall!